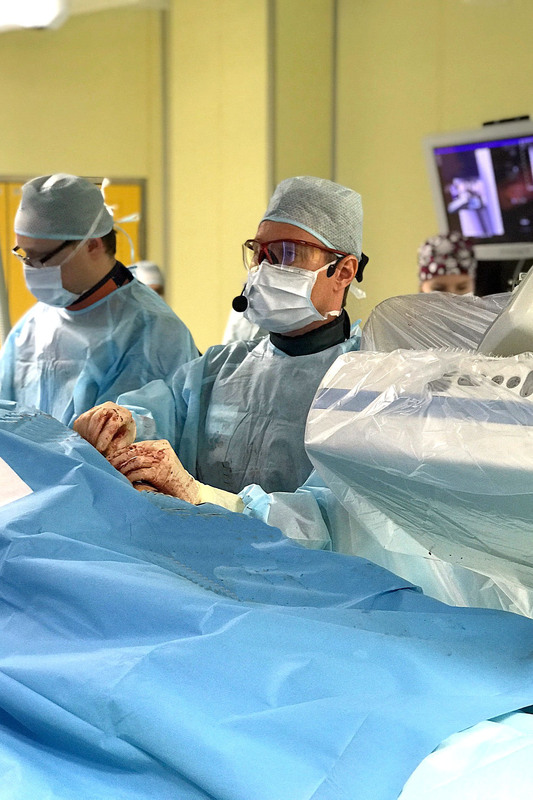 The specialists from the Vascular Surgery Clinic of the Almazov Centre headed by Mikhail Chernyavsky, MD, DSc, took part in the 6th Annual Transradial Endovascular Course (TREC 2019) that was held in St. Petersburg on January 17–19. 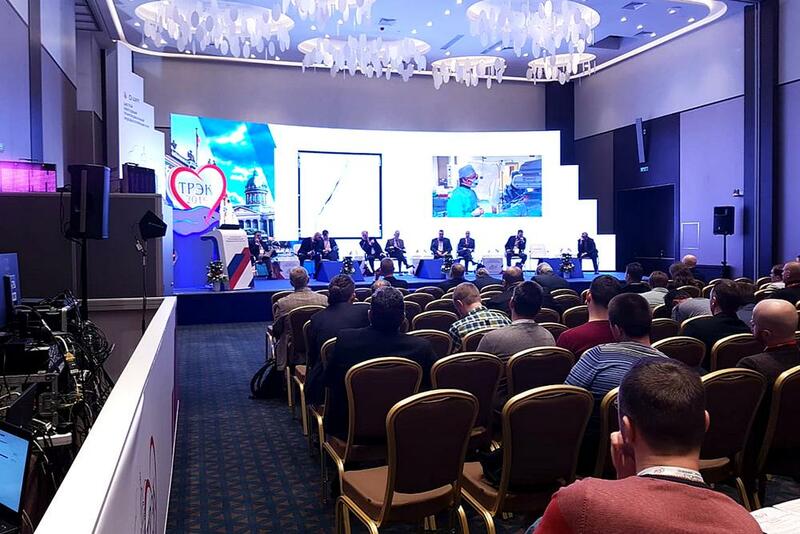 Over its short existence, the course has become one of the leading Russian symposia with participation of international experts in interventional cardioangiology. A live broadcast was organized from the hybrid cath lab of the Almazov Centre to show two very complex surgeries in patients with multilevel atherosclerotic arterial disease affecting lower extremities. The operating surgeons discussed with the audience the stages of procedures and took part in the discussions devoted to the most topical issues in endovascular and hybrid treatments for multifocal atherosclerosis. Several clinical cases were presented to serve as examples of the advanced possibilities in world-class vascular surgery, including the methods of intraoperative intravascular imaging that were not previously used in reconstructive surgery of peripheral arteries. The plenary sessions discussed the issues of choosing the optimal tactics and strategy for treatment as well as the principles of minimally invasive treatment for atherosclerosis in different arterial territories. In order to train young specialists, new developments of foreign and domestic manufacturers were presented for interventional procedures. 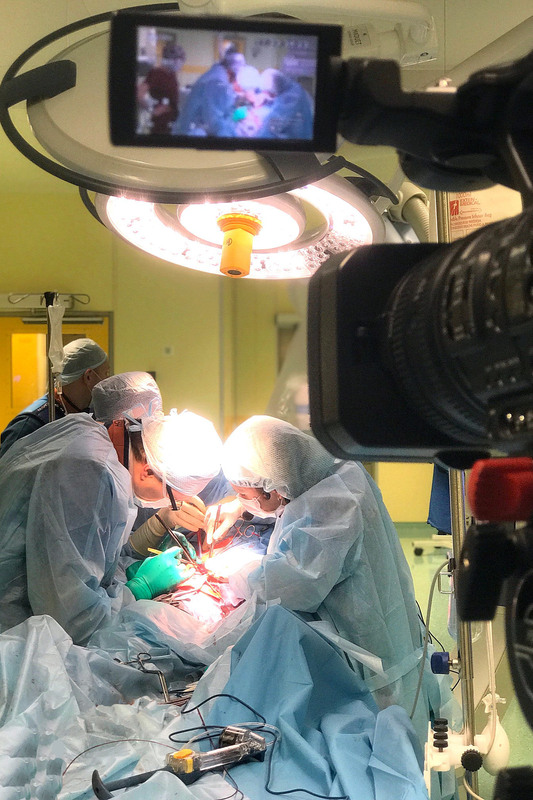 This is not the first time the vascular surgeons from the Almazov Centre have broadcast surgery but their participation as experts in an international conference reflects their professionalism and is a new step towards the development of the vascular surgery clinic.